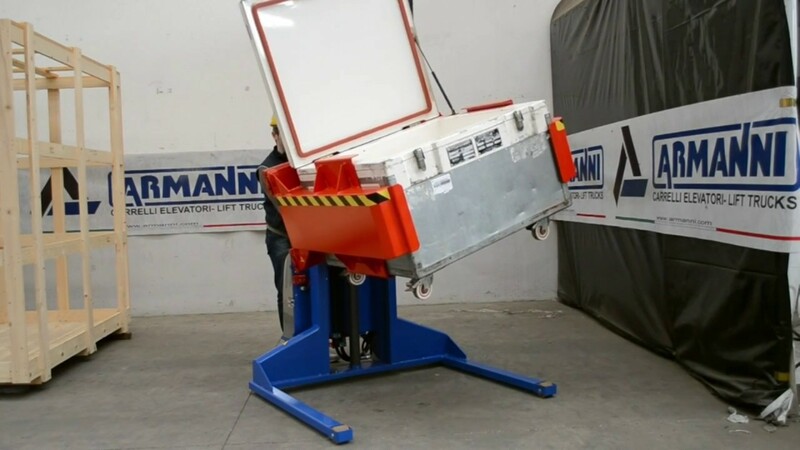 By means of specific manual or hydraulic tightening mechanisms, front or lateral overturning machinery allows firmly gripping the load to be able to capsize it afterwards at the desired height. 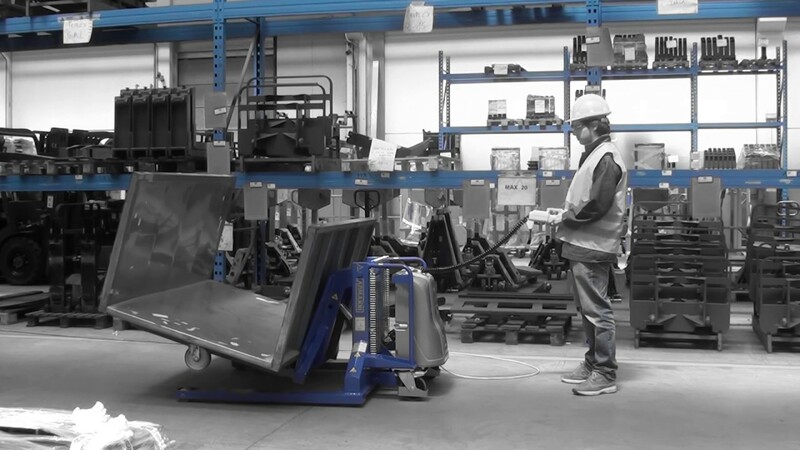 The drive with electrohydraulic servovalve allows the gradual and controlled emptying of the content by assuring greater effectiveness and safety when handling this type of load. 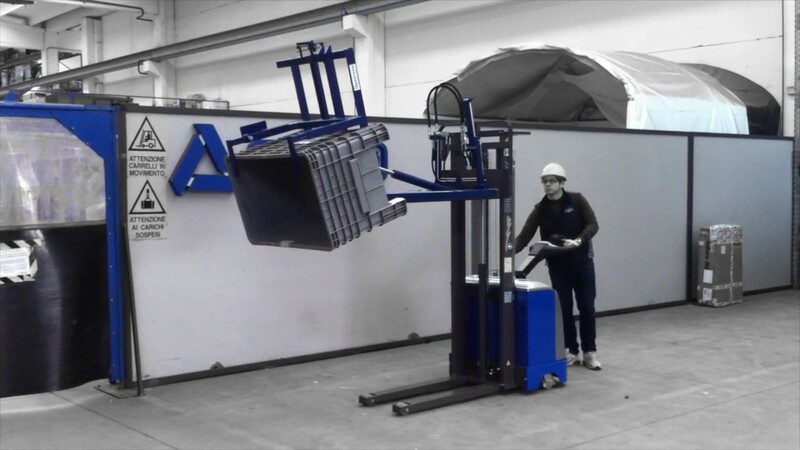 Hydraulic devices that are suitably built-in in the lifting system of lift trucks to allow the front or lateral tilting of the lifted load. 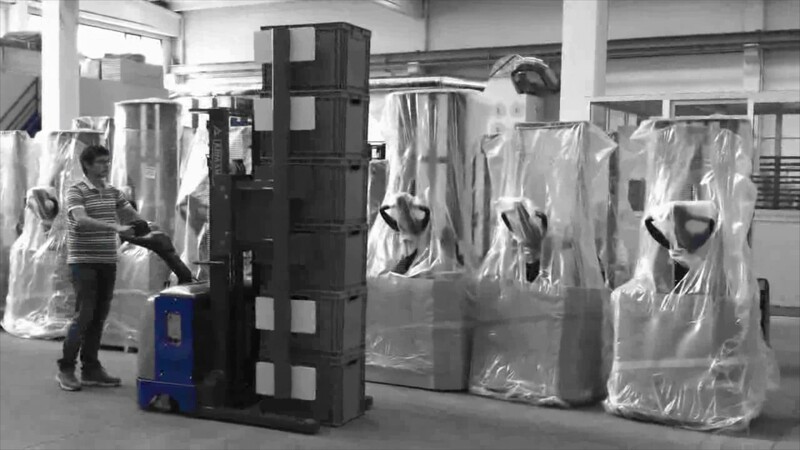 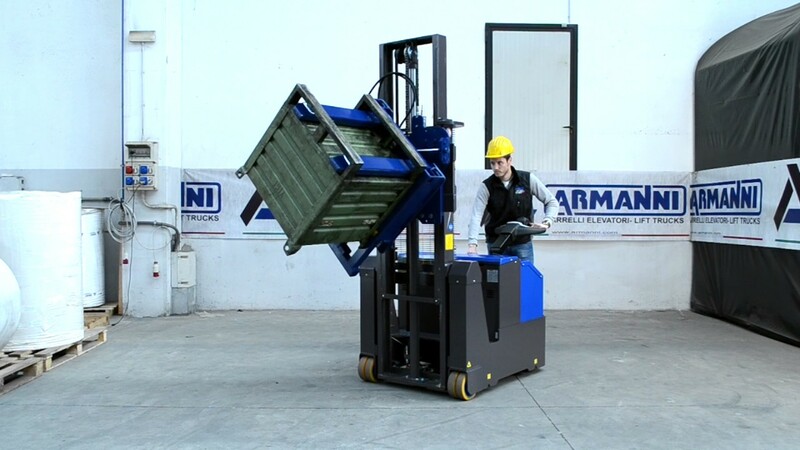 The possibility to tilt the container in a gradual and controlled way effectively supports the operator in terms of ergonomics and efficiency during the operations to pick up the content to be found inside bins of different shapes and sizes. 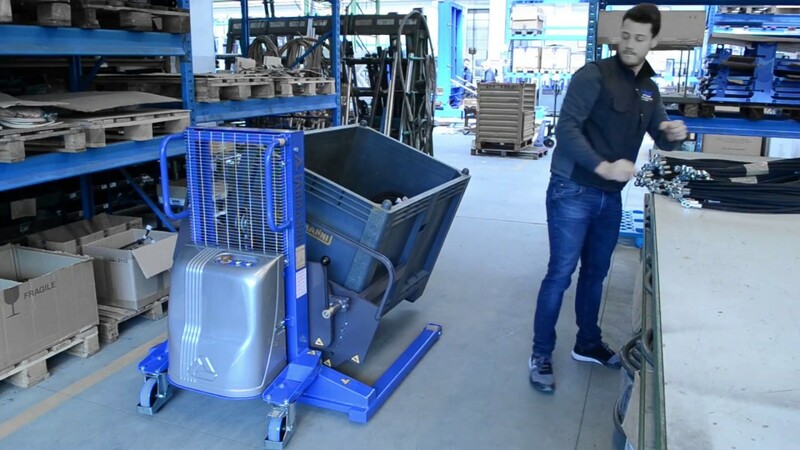 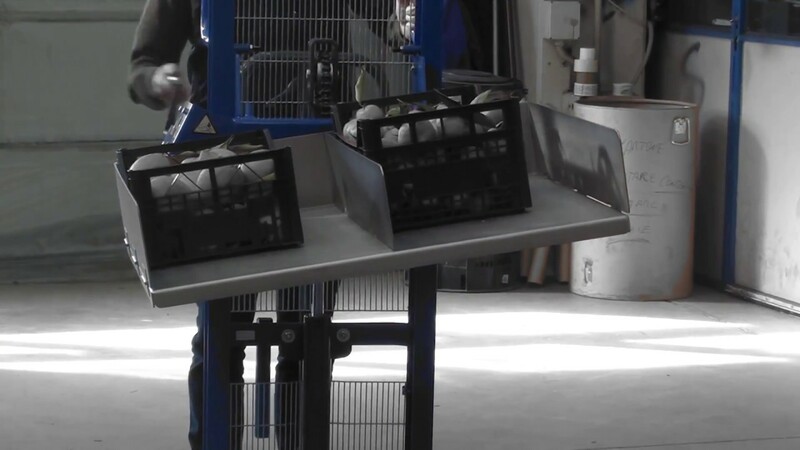 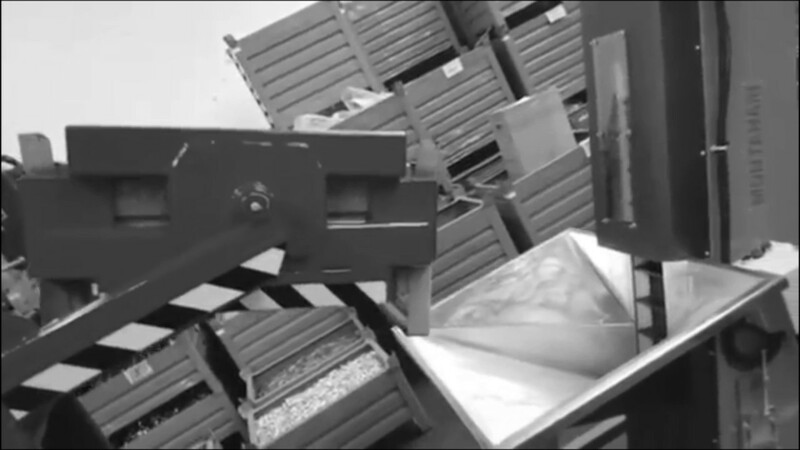 The devices equipped with clamps allow firmly gripping the side of the bin to be able to safely lift, handle and deposit it into the desired area. 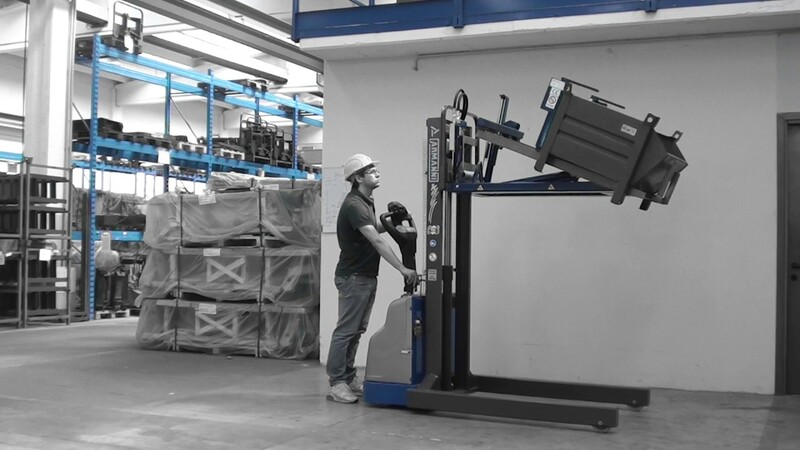 These devices can be equipped with front or lateral rotation devices and also allow carrying out operations to tilt and empty the content. 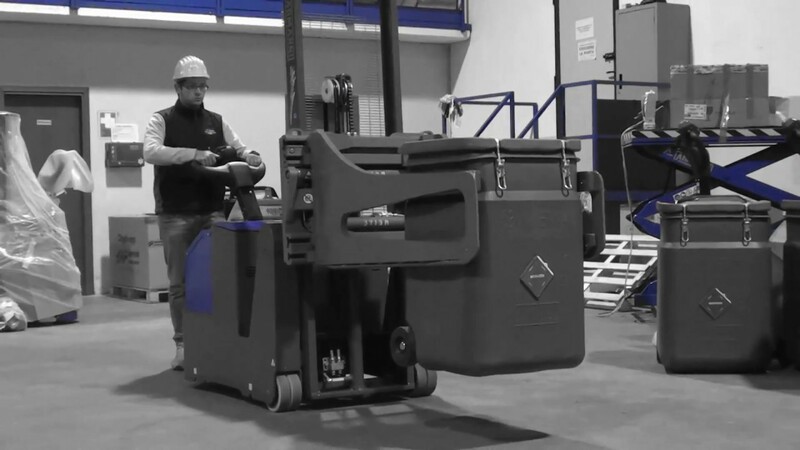 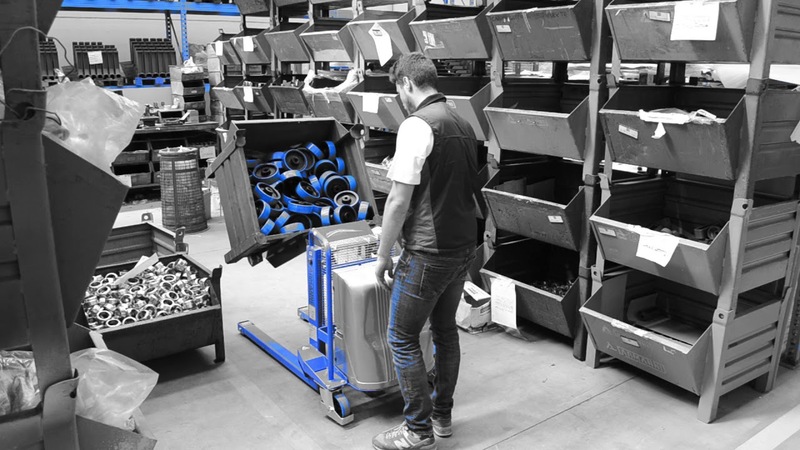 Thanks to the full customisation of the holding arms, you perfectly interface the containers (of different shapes, sizes and materials) with the equipment to carry out all handling operations for this type of load in an effective and safe way.